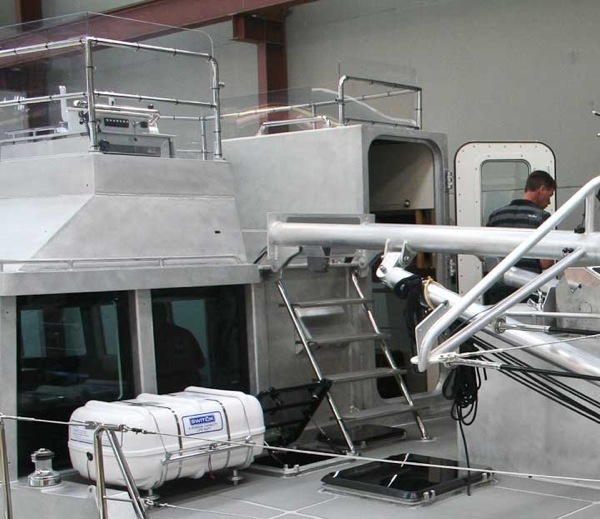 Over the last couple of years we have had numerous questions about the FPB 64’s hinged mast system. This is a costly exercise compared to a fixed rig. The hinge itself looks simple enough. But by the time you do the engineering, execute the weldments, and make the necessary wiring allowances, there is a considerable investment. Why make the effort? The hinged mast system will pay numerous benefits to our owners. 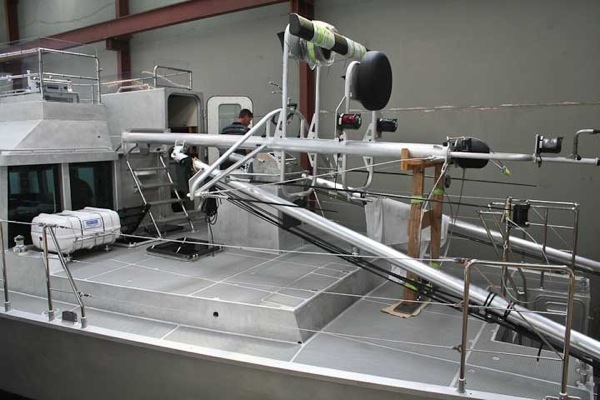 Simpler maintenance on electronics and running rigging, lower bridge clearance, and more storage options, all come with the hinged mast system. This entry was posted on Saturday, February 5th, 2011 at 6:43 pm and is filed under FPB 64 Updates. Both comments and pings are currently closed. Is the actual movement of the mast manual or hydraulic? 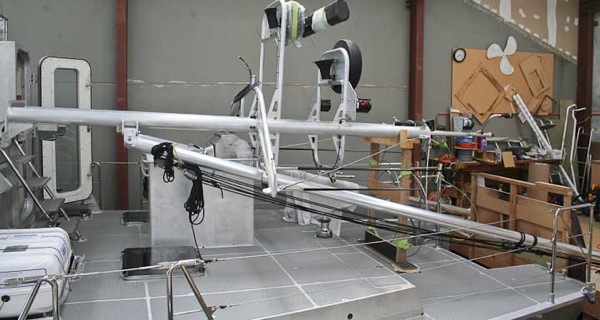 The mast assembly is hinged up or down using one of the winches or tackle in combination with a winch. This is simple and powerful. What is the Air Draft with the mast down? What does the hinged mast lower the air draft to? Air draft with mast hinged down depends on details. Assuming the awning frame is removed, the air draft is roughly 5.6m/18.25 feet. The high point then becomes the radar platform.